Have a propane tank or other tank that is monitored by TankUtility.com? This plug-in will connect to the data services and publish the tank(s) that are being monitored by your account into HomeSeer 3 as home automation devices. The plug-in supports multiple monitor devices if you happen to have more than one associated to your account. It will detect how many devices you have and create the necessary devices for you so that you can monitor them and act upon any of the data reported. NOTE for Generac Meter users: I have confirmed that TankUtility.com sells their meters, rebranded for Generac, and that these meters use the same data service as well. While I don’t have a Generac meter to test with, TankUtility.com assures me they use the same data service and format so this plug-in will work for those meters as well. Whether you are using TankUtility monitor to keep an eye on your person residence storage tanks or have a vacation rental that you want to keep an eye on usage for, this plug-in will take care of it. What Data Does It Support? The TankUtility plug-in pulls the full set of data published by TankUtility.com. If you have more than one monitored meter, it will create a unique set of devices within HomeSeer to manage them. Monitoring Device ID – a unique ID for the monitor device being used for a given tank you have monitored by TankUtility.com. This is assigned by TankUtility. The name of the HS3 device will be “Device ID x” where x is a sequential number based on the order devices are reported by TankUtility.com. Even in the case of one device on your account it will still be assigned “Device ID 0” (vs. just “Device ID”) so that if you add any additional monitors to your account later, the name of this original device won’t have to change (or be an inconsistent format with new ones) and cause scripts, events, … to break. Name – The name assigned to your account. Usually your family name. Address – The service address where the tank being monitored is located. Tank Capacity – Total capacity of the tank being monitored, usually in gallons. 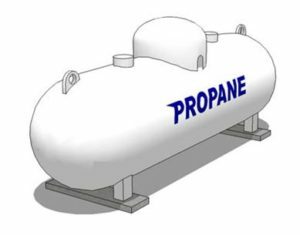 For example a 250 gallon propane tank would report “250” as the value of this device. Last Reading Quantity – This is the approximate contents of the tank based on its capacity and percent full reading. Last Reading Percent Full – This is the percentage full most recently read by the monitoring device for the tank. Last Reading Temperature – The temperature of the tank the last time the tank percentage full was measured, reported in Fahrenheit degrees. Last Reading Time – The date and time when the last percentage full and temperature readings were taken by the monitoring device (not when the plug-in read them from TankUtility), expressed in the local time of the HS3 system the plug-in is running on. And of course you can use all this data to set up events, trigger actions, etc., within HomeSeer. For example, send e-mail when the tank level gets below a certain level or if the usage is particularly high for a given period of time. For each monitoring device, the full set of data available is retrieved and displayed as HS3 devices. In this case only one monitor is registered in the account (Device ID 0) but the plug-in supports multiple monitors per user account. Installation is simple. Just download the plug-in through the standard HomeSeer store and enable the plug-in on the Plug-in Management page. The plug-in works on both Linux and Windows systems. Once enabled, you will just need to enter your TankUtility site username and password in the plug-in Config page and restart the plug-in (disable/enable it) to get things rolling. Your tank service provider will give you the details for how to set up your account through the TankUtility phone app. When you have that activated, just use the same username/password credentials for the plug-in. Debug Logging – Turn on/off debug logging information for the plug-in. Only useful if we need additional info about a problem you are seeing. By default, this is disabled. Polling Interval – Set the polling interval for the plug-in to check for new TankUtility data. Typically we see updates for TankUtility once per day but we default the plug-in to check every 4 hours. You may adjust this as works best for you but less than 4 hours is probably not useful. Celsius/Fahrenheit – Set the temperature units reporting option you prefer. Even though TankUtility reports their temperatures in Fahrenheit, we’ve provided the easy option to have the plug-in optionally report Celsius values. The default is Fahrenheit when the plug-in is first installed. The configuration settings for the Tank Utility plug-in. The username and password have been changed in this example to protect the guilty :-). Wood Dragon Solutions, Create a free website or blog at WordPress.com.